Debbie joined the company in 2001 and has worked with both our Private Sector and Public Sector clients on a wide range of courses and activities since then. Prior to this, Debbie worked within the Training and Development Field for Argos Distributors and also Pound Stretcher. She attained a First Class Honours Degree in 1990 and attained the Certificate Personnel and Development (CIPD) in 2002. Her strengths lie in soft skills training and facilitation, developing and delivering a wide range of bespoke interventions and providing advice on Customer Experience, Communications Skills and Interpersonal Skills. Debbie also delivers on our full range of qualification courses including leadership, management and coaching and mentoring. Stuart joined Challenge early in 2015 and brought with him a wealth of experience at a senior level. His background includes working as Chief Executive Officer at NLT training, responsible for all aspects of quality and delivery, and for a large team of people. He has also work for various organisations in manufacturing (including Meridian Lightweight Technologies) and his strengths lie in strategic thinking and project based work. Stuart is qualified to Masters Level (MBA) in Leadership and Management. 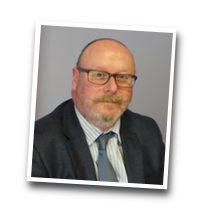 Stuart is conversant with Safety, Health, Quality and Environment topics related to engineering and manufacturing and holds an HNC in Engineering, is a qualified Predictive Index Analyst, is a member of the Chartered Management Institute, and an Associate Member of the CIPD. Stuart delivers on a wide range of topics within his role at Challenge including designing and delivering bespoke programmes for clients in Project Management and Financial Awareness. Stuart is also involved in the delivery and assessment of ILM programmes from Level 2 to Level 7. Nick joined the Company in 2004, having worked as a Manager within large retail stores for several years. Nick has a wealth of experience in Management and Operational issues. He attained a Level 5 Diploma in Management Studies in 2005. Nick specialises in People Management Topics and in those related to Operational Management including those interventions designed to enhance customer experiences, and Health and Safety and Risk Assessment. Nick designs and delivers qualifications at levels 2 and 3 in the National Qualification Framework and also some units at Level 5. Antonia joined the team in 2016 and has a broad base of experience in designing and delivering training in a wide range of business related topics. She is an experienced manager having started her working career in retail, progressing over time to Store Manager for Holland and Barrett. She has a consequence gained a wealth of experience in managing large teams and in her later career converted this knowledge into training others. Roles include four years with “The Skills Partnership” where she managed teams of trainers and assessors and was responsible for ensuring quality of delivery and high achievement levels for a large number of learners nationwide, as well as designing training packages and carrying out training needs analysis. Antonia has also worked as a Training and Development Manager for House of Fraser. She holds a Degree in Teaching (PGCE), a Level 4 in Management, various assessors awards, and a Coaching qualification. Antonia delivers on a broad range of programmes for Challenge, designing and delivering bespoke programmes in leadership and management related topics and also in customer care. She also delivers and assesses on ILM programmes from Level 2 to Level 5. 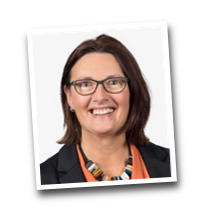 Amanda is an experienced Learning and Development advisor and coach and hold professional qualifications from the CIPD in both areas. Amanda has worked for a number of years in a generalist Learning and Development role within Industry, with responsibility for a team of practitioners, and is experienced in delivering training needs analysis, 360 degree feedback, and designing and delivering workshops for a broad range of managers and staff in a range of topics including customer care, leadership and management, and culture development. She is an Associate Member of the CIPD. HR Manager at BASF Pharma! Gerry joined the company in 2002 as an employee, but worked previously with us as an Associate Trainer. Gerry has a generalist HR background and excellent working knowledge of Employment Relations type issues. She has a Degree in Business Studies and attained the Certificate in Training and Development (CITD) in 1995. Gerry is also qualified in Occupational Testing and Myers Briggs Type Indicator Profiling. 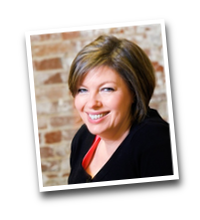 She has a wide scope of expertise and designs and delivers extensively on Leadership, Coaching and Emotional Intelligence Topics. Gerry delivers on qualification based programmes up to Level 7 in the National Qualification Framework. Maria has worked with Challenge Consulting since 2015 and specialises in design and delivery of training programmes to the Construction Industry for Challenge. Her background is with a major multi-disciplinary construction consultancy. Maria is a qualified quantity surveyor and worked her way up through her career from a graduate before becoming a senior quantity surveyor in industry, and then moving into Project Management and Risk Management, dealing with multi-million pound budgets. 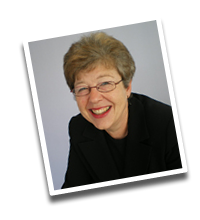 Maria has been involved in developing and delivering coaching programmes for a number of years, including one designed for graduates who are progressing through to Chartered Surveyors. 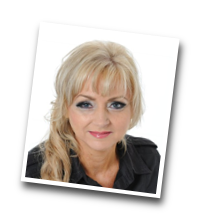 Maria is an Associate Member of the Association of Coaching, holds a Professional Certificate in Personal and Business Coaching and is a member of the Royal Institution of Chartered Surveyors.